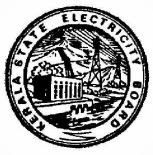 http://kseb.in is the official website of Kerala State Electricity Board (KSEB) Sports Person Recruitment 2013 for Assistant Engineer, Sub Engineer, Meter Reader, Junior Assistant or Cashier, Junior Fair Copy Assistant, Confidential Assistant, Driver, Office Attendant etc. Fill the Application Form in candidates own handwriting, Affix a recent passport size photo on the space provided (Signed Copy), Sign on the space provided. Fill the Identification Form, affix a photo and get it attested by a Gazetted Officer. Send the filled application form and identification form and send it to the address given below along with self attested relevant documents proving Age, Date of Birth, Educational Qualification, Experience, Sports Certificate etc. Mention Application for the Post in the envelop.